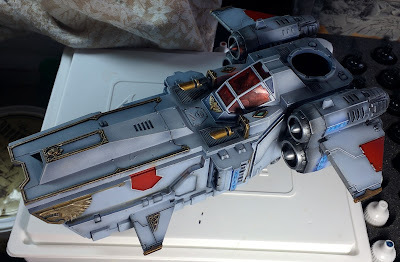 Alternate paneling details, the pilot in the cockpit all done. Some more highlighting of details and burnishing the barrels of the meltaguns. Not long left on this one, until it's finally complete.